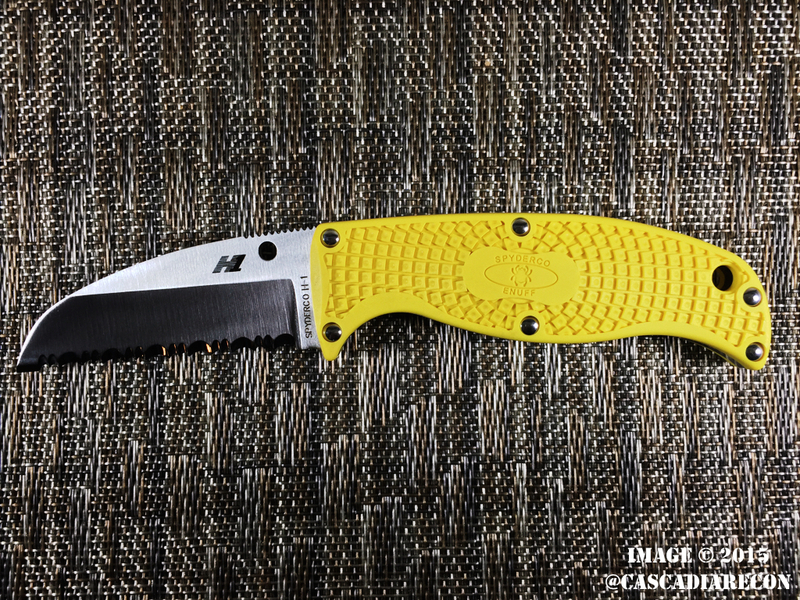 Today’s mail call brings us the Spyderco Enuff Sheepsfoot Salt (Model # FB31SYL). There are several variations of the Enuff model, but this particular version is rust-proof courtesy of the H-1 steel. 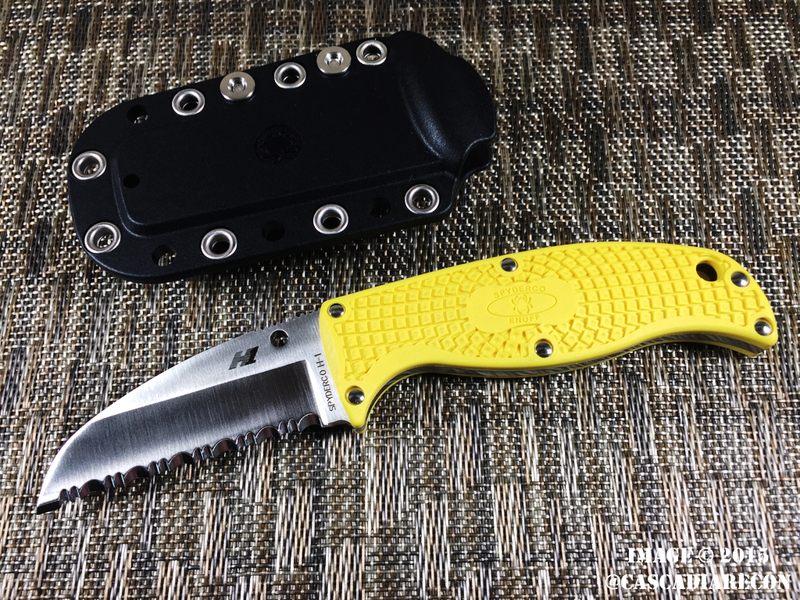 The blade features the company’s “SpyderEdge” serrations, which cut through things such as rope and webbing like hot butter. The scales are of the newer “Bi-Directional Texturing” style, and they really grip your hand, with ridges going in each direction. Once you have gotten ahold of this knife, it’s not going anywhere. And even if for some reason you do drop it, you aren’t likely to lose it, thanks to the bright yellow color of the scales. Some of the manufacturer specs. include a cutting edge length of 2.54″ (65 mm), and a weight of only 3.9 oz. (111 g). Included with the knife is a sheath that features adjustable belt clip. While it’s far too early to do an in-depth review, the Enuff in H-1 certainly looks (and feels) like a winner. Still a great little fixed blade, and ironically, was used recently for some food prep of all things! While it may not be the most ideal kitchen knife (the blade is a little short for that), it sailed through the cutting chores without any issues. The grippy handles helped with retention, especially with wet hands.